A supposed photo of missing former presidential candidate Diego Fernández de Cevallos surfaced online, suggesting the National Action Party (PAN) politician and Mexican legal bigwig is alive - if not well. 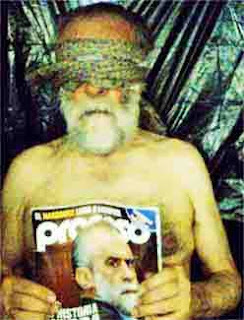 The photo, made public by journalist José Cárdenas of Raido Formula, shows a blindfolded, shirtless and disheveled Fernández de Cevallos, 69, holding a copy of the muckraking news weekly, Proceso, which features his image on the cover. 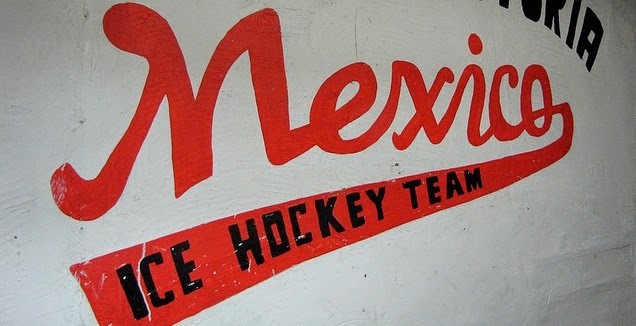 That image ran with the headline, "Diego's dark history," and contained an unflattering account of the political, business and legal dealings of a figure deeply despised by the Mexican left and unpopular in some circles of the governing PAN. "I can't describe the hell that your father is living and I don't know much longer I'll hold on. Therefore, I ask that you make your best effort as quickly as possible. They have all the time in the world. "... They tell me that they made you a concrete proposal and that you haven't answered them with a reasonable counter offer. You have to do it now, immediately.
" ... Any advice that you're poor is absurd and will be fatal." "I've fainted various times and have chest pains despite [taking] a lot of 'Tenormin' and Aspirin. You know that I've not hot had good heart health since the operation. "I have lost weight and my fatigue is each day worse. Therefore, time if of the essence." "Don't try to diminish the amount that is attributed to my net worth. That's irrelevant. What's urgently needed is that you make a counter proposal that's as high as you are able [to make] and I'm sure that they will negotiate. What is urgently needed are serious negotiations to manage the delivery of money and my freedom." The admonishment to pay follows reports of the supposed kidnappers demanding a ransom of $50 million and the family offering $30 million in exchange. Negotiations reportedly went cold afterward. Fernández de Cevallos - known as "El Jefe Diego," or "Diego the Boss" - disappeared more than two months ago from his ranch in the state of Querétaro, several hours to the northwest of Mexico City. His family has kept quiet, except to ask that federal and state officials withdraw from any investigations - this, in spite of the fact that close legal and political associates of Fernández de Cevallos - Attorney General Arturo Chávez Chávez and the recently replaced interior minister, Fernando Gómez-Mont - occupied top positions in the federal cabinet at the time of his disappearance. Speculation has been rife about who might have abducted Fernández de Cevallos and for what motives. The EPR rebels denied any involvement, although security analyst have mentioned a supposed EPR splinter group as the kidnappers. A supposed email from the kidnappers - read by Cárdenas on his radio show - says much of what has been reported is false and that they have not lowered their demands. If the photo is real, it should come as no surprise that it shows "El Jefe Diego - or, "Diego the Boss" - holding a Proceso issue suggesting he has amassed a fortune and wields influence over Mexican political and legal affairs. The Proceso editorial line tilts left and Fernández de Cevallos is loathed by many on the Mexican left for his history of brokering deals with former president Carlos Salinas and later, while serving as a PAN senator from 2000 - 2006, winning big claims for corporate clients taking legal action against the federal government - often in a bid to win "amparos" (injunctions) against taxation measures. Many reports falsely refer to Fernández de Cevallos as friends with Calderón, whose sister, then a Senator, promoted a bill known as the "Ley Anti-Diego" to curb Jefe Diego's moonlighting as a lawyer while he served in the Senate. What a fascinating read. Great post on updating us on El Jefe Diego. It just seems that there's so many back stories to these situations that there is no longer any way to explain them. Hollywood couldn't even make a movie about them as the plot would start to resemble The Matrix.